HOUR OF PENANCE commented: "We’re really excited to announce that Hour of Penance signed a new deal with Agonia Records. The first friut of our cooperation, a new album, is coming in 2019. It’s great to be part of a label that has always been focused on quality extreme metal and it’s the right place to spread our music and brutalize the ears of extreme metal fans all over the world with the new songs we’ve composed. We’re working very hard to bring you our finest and best sounding album so far and we cannot wait to start recording. More details will be revealed in the upcoming months, so keep your eyes open". HOUR OF PENANCE has steadily been making a name for themselves as one of the most intense, talented and impressive death metal bands around, both in the studio and on stage. Pouring heart into death metal and releasing emotions into what they do, they can easily be described as a beast of a perfomer; they even have a philosophy around it. "Death metal is more than just music", states the band. "It transcends such a limited mortal state of mind. Death metal is the aural expression of humanity’s darkest side, of devastation, sorrow and the harbinger of mankind’s own inhumanity and ultimately its destruction. Death metal is not a trend, a fashion parade or a mean to an end. It is much more than that. It is a way of life. A life in death". What might sound as a litany, is actually related to one of the Holy Capitals, Vatican City, near which HOUR OF PENANCE was brought to life in 1999. Since its formation, the band released seven studio albums, and performed shows in Europe and North America, with the likes of Behemoth, Cannibal Corpse, The Black Dahlia Murder, Devildriver, Misery Index, Nile and Krisiun. They also went through several line-up changes, that would surely have discouraged less dedicated bands. 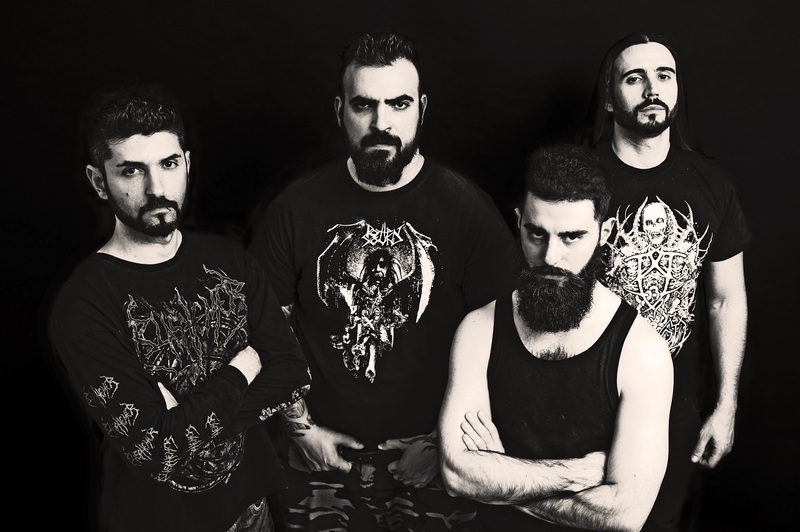 The present line-up consists of guitarist and longest serving member Giulio Moschini, singer and guitarist Paolo Pieri, bassist Marco Mastrobuono and drummer Davide Billia (Beheaded).